I had originally built this computer in a masterbox 5, but it looked boring. EDIT: I was asked to add the build log video (sorry for the terrible quality of the music, I don't know what happened. I'd suggest you mute it and play whatever you like instead). Also, I was told to give "specs on temps or noise". Both the CPU and GPU stay in the low to mid 30s on idle @22°C ambient. They stay in the 40s under regular loads (browsing the web, watching videos, editing documents, etc.). However, when gaming or editing videos, I have to open the lid, which is pretty much what it was made for. When stressed seperately (100% usage), the CPU and GPU both reach the low to mid 70s. As for noise, it's rather quiet for daily usage thanks to the plastic mounts for the fans and the lack of HDD; I'd say the PSU is the loudest in that case. When gaming, there's nothing between the user and the graphics card, so it does get louder, but I'm always wearing closed-back headphones, so it doesn't really bother me. Excellent chip for the price. • Outperforms Intel's Kaby Lake offering at this pricepoint (i5 7500: similar single-core performance when OC, 40% faster multi-threaded performance even at stock settings). 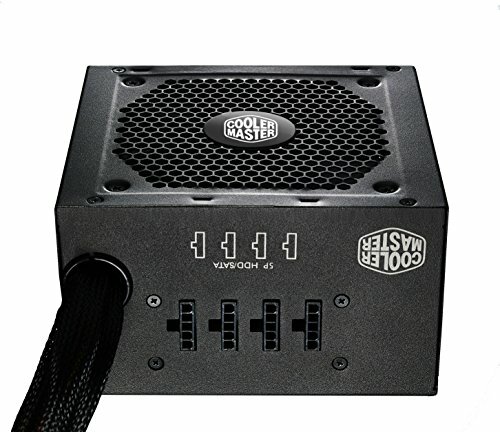 • For about 20€ / 20$ more than a 1400, it has better binning (never seen a 1400 reach 4GHz), double the cache, and a cooler with enough thermal headroom for a 4GHz overclock. Mine overclocks to 3.8GHz with a mere +0.012V offset, and stays remarkably cool (mid 70s under long-term heavy load with tool case lid open). Wonderful value. These sticks managed a stable 2800MHz (stock timings) overclock @1.3V, and yielded a 3.5% increase in my 1500x's cinebench R15 score. They scored 100% in userbenchmark's memory test, despite being one of the cheapest options on the market. Highly recommended if you're on a budget. 525GB for 150€ is a steal, especially since the performance is quite decent (no slow sequential write speed or terrible 4K performance like some other budget drives). The m.2 form factor is extremely convenient for small custom cases like mine. Not having to deal with any 2.5 or 3.5" drives really was a time-saver. It was on sale (~60€), but I still should have spent a bit more on my PSU. Pros: • It's (semi-)modular. When you're building a system without any 2.5" or 3.5" drives in a rather small custom case, not having to deal with useless sata cables is a must. • Despite being one of the cheapest PSUs to offer some kind of modularity at this wattage, it doesn't seem to use completely terrible materials. Tier 3 or 4 depending on the lists, so it's not the most stable, but it shouldn't explode. Cons: • How much would it cost to paint these cables black ? Really, the ketchup and mustard colour scheme should have disappeared a long time ago. I'm seriously considering black plastidip. • The noise ! It's unbearable ! No, really, maybe I should have added some kind of rubber padding instead of mounting it directly to a metal surface, but it's by far the noisiest component of my build when idling. Seasonic's fully modular 620W SS-620GM2 is often found at similar prices. Just close your eyes and click "buy". Best version of windows so far. It looks great, it's intuitive, and it has very few bugs. Much better than 8 and 8.1, feels as good as XP or 7 back when these were still a thing. 4 stars instead of 5 because it's still poorly optimised. I've replaced it with Ubuntu on my (admittedly weak) N3700 e403sa, and everything got snappier. I have to deal with poor palm rejection, occasional complete failure of the trackpad's drivers, and the nw-manager needs to be restarted from time to time, but it still feels much more usable. Well, it does its job, and it's 15€. What else to say ? I would have bought a faster one, but my bandwidth is terrible anyway, so it wouldn't have helped much. 4 stars instead of 5 because I've had to restart a few times, and it's a bit annoying. Very nice old case transformation and modding. You deserve the "Featured build" thingy. I'd like it so much. NB: picture 33... don't forget protective equipment for safety's sake :) We want to see more builds in the future, and you might want both hands for that. Anyways, keen on the build. Deserves a Feature. Thanks for your comment ! I thought it was visible, but there are actually two LED strips inside. The light isn't exactly white since I'm using a cheap RGB 350 kit, but it's there, magnetically attached to the metal frame below the plexiglass. As for the protective equipment, I didn't use any. You could call that a NSFW build. Also, the paper behind is a report from my employer after my last internship. 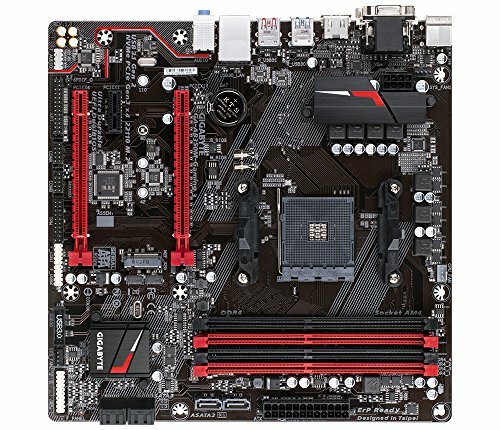 Paid internship, which is how I managed to pay for this build. Not high-school grades, but close enough. The vertical monitor on the left is mostly used for reading long blocks of text such as forum posts or recommended literature for my courses. I also use it for gaming at 3120 x 1080 though, despite its high input lag. It's a 700€ monitor from 2006, but its pixel density is pretty much the same as my mx239h's, which makes the dual-screen setup fairly usable. The fun thing about the mx239h is that its stand was not removable, and that it had no VESA mounting points. I had to open it, drill through its back and add a metal plate to make it compatible with the stand. Phew. That was a long comment. Awesome build. The way you you incorporated the old case into the toolbox makes a mod like this seem much more approachable. Dont think I am quite there yet but hopefully one day. This could totally be a featured build. I am all about the big impression on a small budget. why didn't you link the build video? I'll add it as well. Thank you ! Looks like you really put some time and thought into this, cheers mate! I love the build by the way. If you ever get sick of it I bet you could make a pretty penny adding some fallout branding and selling it on ebay. Great build... does it come with a tetanus shot and rgb band-aides?? after a few cuts you made a very nice mod case!! It actually takes up less desk space in my case. I have a shelf that goes about 35cm over mine on the right, and the 47cm high masterbox obviously wouldn't fit. This tool box is 27cm high, so it fits with room to spare, which allows me to open the lid during intensive tasks. I have to say, this is a very cool concept. I assume that the airflow isn't really good, but it's got an R5 and 1060. What kind of things do you plan on running specifically. I'm not planning anymore, it's been built since june in the masterbox / august in the tool case. I've mostly played bethesda games such as fallout 4 or my heavily modded install of skyrim. Also, I've edited some content, such as the video that's linked in the build description. As I said, the tool case is meant to be used with the lid open when it's under heavy load, which keeps the temperatures at very reasonable levels. I didn't mean to say "but" about the R5 and 1060. I meant to say that is a pretty good combination. Congratulations on the feature. It definitely deserves it. Wow, are you actually 11 years old ? I think I was your age when I got my first PC. I'm not that old, but this takes me back. Straight insane. Most impressive thing I've seen all day. Nice job. Fantastic and easy to move. Great job and congrats oom the featured spot. Great job with the mods man! What a great mod "made in France", and it even got featured!!! Easy +1!!!! An awesome rustic build +1! Definitely looks like something you would find in Fallout 4! Very nice! Love the aesthetics of the old toolbox. This is an awesome build! I had thought of doing something similar to make a portable cheap gaming rig using a Vaultz case, complete with a screen in the lid, but it never worked out due to not being able to fit the panel in the case. Friend comes over* "So what's this tool box doing here?" "Oh it's just my custom gaming rig." "Oh." On a serious note this is a really cool project good craftsmanship and modding! Not putting you down (you did a great job), but man, what a waste of a good tool box. I give a 9 for awesome work but I take 5 for ruining a good tool box. I guess I consider them to be part of the whole rusty tool case aesthetic, at this point. Cablemod extensions would take too much space, I don't think I could cram them under the motherboard tray. As for custom sleeving, it's too much work with a semi-modular PSU. Maybe I'll get some plastidip someday, maybe I'll never bother. Anyway, thanks for your feedback. I didn't expect any more. What made you stumble upon this now 3-month-old build log? Thanks ! I'll add them. Thanks a lot! The graphics card is listed as "custom", it's a 1060 6GB from KFA2/Galax. Sorry for the late reply. I just checked, it's been listed as a graphics card in the parts list the whole time. No idea why it won't show up in the completed build.